The importance of choosing the right skimmer is apparent. A feeble skimmer does little more than circulate and aerate the water, while an efficient skimmer can keep the water pristine, reduce nitrates, phosphates, and algae, and play a significant role in the overall health of the system. 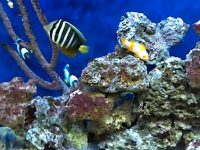 Whether your reef tank has or doesn’t have a sump tank, a protein skimmer is an important equipment that you can’t neglect. 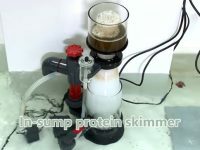 For a reef system without a sump, a Hang-On-Back protein skimmer is a great replacement for the in-sump skimmer. Here are seven of the best HOB protein skimmers on the market today. 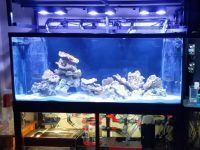 The Reef Octopus Classic 100-HOB can work well in 55 gallon heavy load, 75 gallon medium load, and 105 gallon light load saltwater tanks. The main skimmer body features a solid acrylic construction for durability and visibility. 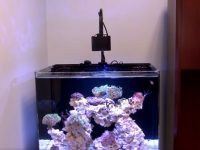 It is fitted with a Reef Octopus Aquatrance 1000s skimmer pump (92 GPH, 9 W) with pinwheel to help make it run more efficiently. This model also has an air silencer which means it won’t be loud while running. It comes with an adjustable surface skimmer to keep the water surface clean and clear for light penetration and better oxygen exchange. This is very important for the health of your corals and fish because they need to be supplied with enough light and oxygen to thrive. The Reef Octopus BH-1000 is intended for a 60 gallon heavy load, 80 gallon medium load, or 130 gallon light load saltwater reef aquarium. The skimmer body is made of high-quality acrylic that prevents it from being easily damaged. 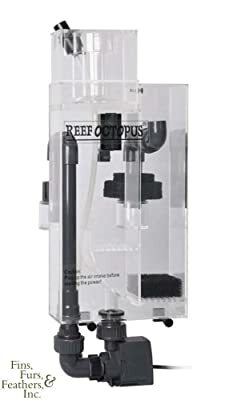 It is powered by a Reef Octopus Aquatrance 1000s skimmer pump that is very durable and can serve you for a long period without any problem. The product comes with a surface skimmer to help remove unwanted particles from your aquarium surface. This model is built with an air silencer so it runs quietly. 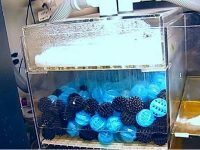 If you are in need of a Hang-On-Back protein skimmer, the CoralVue Technology BH-1000 Octopus may be the best choice. 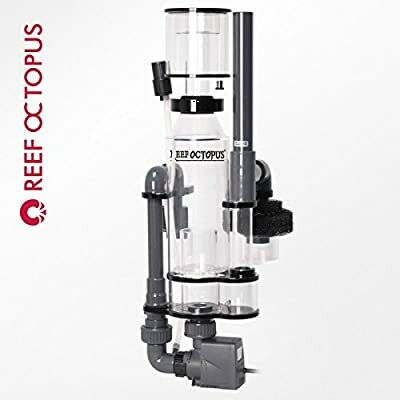 The Reef Octopus Classic 90-HOB features a gray/clear design and uses a Reef Octopus Aquatrance 1000s skimmer pump (92 GPH, 9 W) to work. This pump is placed externally under the skimmer body which helps to save much space needed to place it and reduce heat-to-water exchange. Its reaction chamber is fitted with a turbulence reducing bubble plate for the better contacting time between tiny bubbles and water, thus removing more unwanted waste in the water. It has a collection cup with a draining feature. It also has an air silencer to help it run quietly and has a precision control output valve to help make adjusting it much simpler. This model can work well in 60 gallon heavy load, 80 gallon medium load, and 130 gallon light load saltwater tanks. 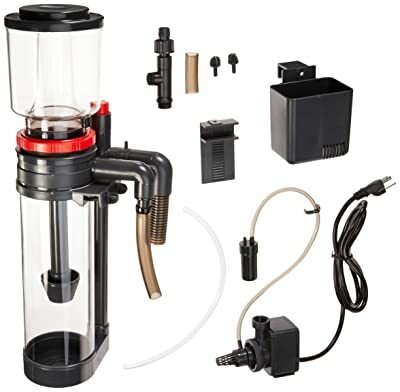 If you have a nano reef tank (under 25 gallons) and want to use a Hang-On-Back protein skimmer with the tank, this is a great choice. It uses a Rock SP600 pump with a needle-wheel impeller to help ensure that it works well to collect unwanted particles from your fish tank. Unlike other skimmers featuring a water outlet control, the design of this product allows you to adjust the height of its skimmer body for ensuring that it works properly in your fish tank. The small and compact design makes it easier for you to set up this skimmer. Only assembling all of its components and then hang it onto one side of the aquarium. This model also features a foam bubble reducer on the outlet to help make sure that it doesn’t overproduce bubbles on the aquarium surface. The Coralife Super skimmer is rated for saltwater tanks up to 65 gallons. This product is specially configured for both hang on the back and in sump applications. So, it is very flexible for you to install the Coralife Super skimmer. The most feature makes the Coralife Super skimmer popular is the great value you can get for its affordable price. 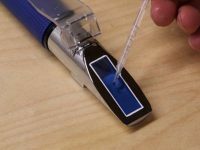 The skimmer features a patented needle-wheel system that creates a spiraling vortex of water and micro bubbles inside its reaction chamber. By this way, it increases the collection of fine protein and organic compounds that results in clean and clear water in your aquarium for the healthy growth of your fish and corals. It also comes with a wide neck collection cup that is very easy to detach for cleaning by simply twisting its neck. The Bak-Pak II is a strong skimmer and is easy to use. It utilizes a Rio 600 pump with an impeller-based venturi inlet to produce a stream of water and fine bubbles. This mix flows into the bottom of the contact chamber. The bubbles rise up the chamber while the water must flow downward to exit, creating a brief counter-current. As dissolved organics accumulate on the foam, it pushes up into the collection cup. The level of the collection cup can be adjusted by moving an O-ring around it. 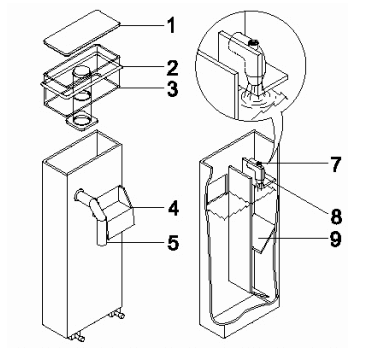 The Bak-Pak 2 skimmer is designed to work with a pre-skimmer. This accessory serves the dual purposes of allowing the skimmer to collect surface water only (which is more laden with the dissolved organics that the protein skimmer is designed to remove) and enhancing aesthetics by concealing the Rio pump in a discreet black box. The Remora Pro is made of dark gray acrylic that blocks light, thus cutting down on algae growth inside its chamber. Its design is similar to the Bak-Pak with some significant operational differences. Like the Bak-Pak, it is designed to hang on the tank with water supplied by an in-tank Rio 1400 powerhead. Both offer virtually identical dimensions. 7. Injector Access Screw, 8. Spray Injector, 9. Internal Baffles. Source. 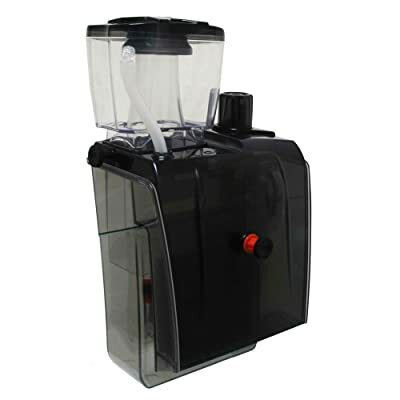 The primary functional difference between the skimmers is the method of aspirating the water. Whereas the Bak-Pak uses a rejuvenation venturi, the Remora uses its patent-pending spray induction system (8). From what we could see, the spray induction basically forces the water through a narrow nozzle, which has an effect similar to placing your thumb over a garden hose. There is a primary baffle (9) just below the nozzle so the pressurized water is forced to spray through a narrow hole. When it hits the water surface below, it is full of air and produces a heavy load of fine bubbles. The water then flows through a contact chamber where the air can rise and form a foam column that rises through the collection cup. The collection cup on the Remora Pro is much larger than that of other hang-on skimmers. This is particularly significant since the skimmer is hang-on and is likely to be placed where an overflow of the collection cup would go directly to the floor of the display room. The skimmer can work with a pre-skimmer box from AquaC that conceals the powerhead and skims surface water.